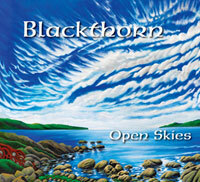 Blackthorn is a Canadian Celtic folk band that saw its inception back in 1989 with a group of musicians who found a common interest in a music that wasn’t all that common in Vancouver at the time. Early highlights included performing at Vancouver’s seminal Celtica Festival in 1990 along with De Dannan and Andy M. Stewart and performing and recording with the World Champion SFU Pipe Band. 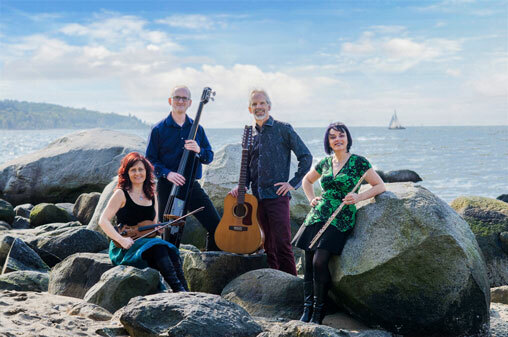 Since then, the group has travelled a long road through the streets of traditional and contemporary Celtic music, performing concerts and at Celtic and Folk Festivals and Highland Games throughout Western Canada and the Pacific Northwest. Blackthorn features four talented musicians, three of whom share lead vocals, bringing a refreshing diversity of character to the group’s polished sound and all four contribute a mastery of a colourful variety of instruments. The results of their collective musical backgrounds, skills and experience are witnessed in the high-calibre, entertaining performances they consistently deliver to audiences of all ages. Blackthorn’s extensive repertoire is rooted in the musical traditions of Scotland and Ireland as well as the folk music of English and French Canada. Their repertoire has expanded to include creative original compositions that reflect the influences of these traditions. From lively jigs and reels, to songs with rousing choruses and heart-wrenching airs and ballads, they bring the music to life with their luscious harmonies and complex instrumentation.